The nurse refresher course is designed to assist nurses who have been out of the clinical setting for 3 or more years by updating knowledge, skills and current understanding of the Texas Board of Nursing Examiners Rules and Regulations Eligibility. Admission to or completion of the course does not guarantee obtaining a license to practice or employment. Licensure requirement and other procedures are the exclusive right of the Texas Board of Nurse Examiners. Participants must satisfy all the requirements. or Must Pay Deposit $ 600.00 if not paid in full prior to class. 1. Update skills and knowledge of nurses re-entering the profession competent with legal and ethical requirements of the Texas Board of Nurse Examiners. 2. Return with confident knowledge to provide safe patient care. 3. Collect data sufficient for assessment of patient needs. 4. Provide patient care including performing treatments. 5. Administer and document non-IV medications. 6. Administer and document IV medications. 7. Assist Care team in implementing plan of care. 10. Identify the nurse’s responsibilities in relation to common diagnostic tests. Procedures, treatments and medications. 11. Follow the principles of aseptic techniques. 12. Implement appropriate nursing interventions in routine situations. 13. Explain the roles and function of the various health team members. 14. Administer and document non-IV medications. 15. Administer and document IV medications. 16. Assist Care team in implementing plan of care. 19. Identify the nurse’s responsibilities in relation to common diagnostic tests. Procedures, treatments and medications. 20. Follow the principles of aseptic techniques. 21. Implement appropriate nursing interventions in routine situations. - Need to bring snack lunch with a drink, copy of your board order and an electronic device to download your course material, no paper documents will be available at the site. 3. 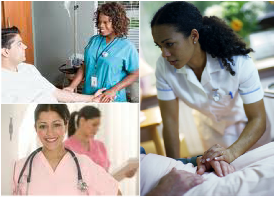 Critical thinking, plan, direct and coordinate nursing care for assigned clients. 1. Pass medication test with a score of 80% or better. 2. No more than three absences during course. Three full day’s absence or three clinical and three class sessions. Call 1-800-688-6149 for course dates and locations.